Bravo Team is back in book 2 of the Stealth Ops SEAL Series! 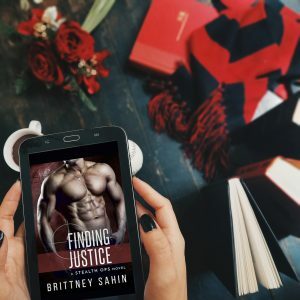 Finding Justice is LIVE! I am super excited to share with you this super intense and action-packed romantic suspense story! I can’t wait to hear what you think about Owen’s journey for justice and to find love!